In today’s highly manipulated and rigged markets, be very careful not to mistake market pricing as a reliable arbiter of underlying value or economic health. The tail does not wag the dog. In 1998, markets were rife with proclamations of a “new paradigm” in which sustainable profitability, or even any profitability at all, no longer mattered. Theglobe.com was an archetypal example. It clung to metrics such as “eyeballs”, the number of visitors that visited its site. In reality, it was a fourth-rate social media play with no business model, mediocre traffic even by the standards of the day, and that lacked even the most vague notion of a path to profitability. But it managed to put together an IPO during the most manic period of the dotcom bubble. Its stock was priced at $9 per share. On IPO day, the stock went ballistic, peaking at $97, up over 900%. 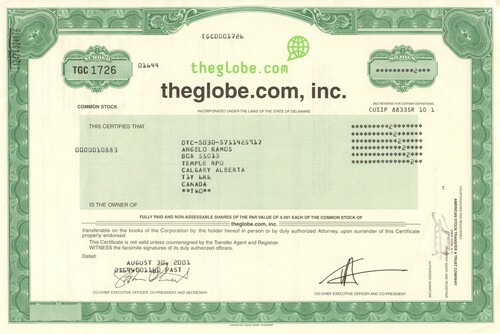 Despite such extraordinary froth surrounding their business and investors of all ilk simply throwing money at them, Theglobe.com was bankrupt two years later. Interestingly, the company still trades as a shadowy shell of its former self. As of the time of this article, shares were down 9% on the day. To eight cents per share. Theglobe.com is an object lesson in full-scale, totally unglued, market insanity. The current stock market is more insane, more overvalued, than it was when Theglobe.com stock enjoyed the single largest IPO day gain in the history of the stock market. Don’t be fooled. You’re not wrong. Stock market pricing is simply off-the-rails, padded-cell crazy right now. The Fed, in its infinite hubris, rigged it to be this way with ZIRP and QE, and the Trump corporate tax cut has poured gasoline on the fire, fueling massive corporate buybacks (that unscrupulous insiders continue to sell heavily into) that have sustained this bubble a little while longer. Don’t be fooled. This time is not different, this multi-year madness will not be without consequence. Financial reality, like all reality, is brutally patient. It will reclaim its rightful place as the true determinant of stock and other risk asset pricing. And unless this time is different, which it isn’t and never is, a stock market crash of greater than 50% is in the offing. As Chris Hamilton frequently notes, one of the primary drivers of the coming recession will be the massive, undeniable, irreversible demographic shifts taking place worldwide. The non-productive portion of the population, senior citizens who do not produce GDP but consume a great deal in social program payouts, is poised to explode, alongside a commensurate drop in the proportion of the population in its prime productive, working years. To say I've become skeptical of "markets" and their movements is probably an understatement. However, rather than waste more time trying to make sense of these skewed markets, I believe real economic activity is more accurately represented by changing populations and their energy consumption. If I'm even half right in suggesting the imminent large-scale energy consumption declines that will accompany the "baked in the cake" population declines, then non-linear disruptions or collapses are a probably a very good possibility.